Is drinking enough water one of your New Year’s health resolutions? If so, you’re in the right track as 60 percent of the body is made up of water. Something as simple as drinking more water will impact your overall health. Read on to learn more about the science-backed benefits of making sure you’re well-hydrated every day! 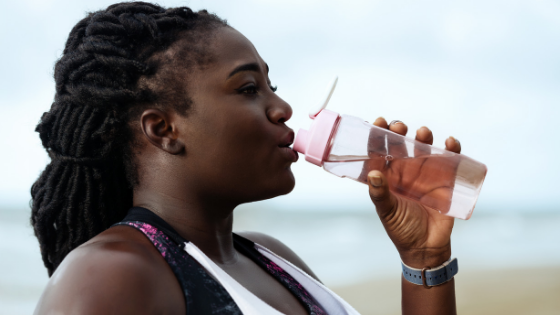 Before we dig into why sufficient hydration is crucial to promoting good health and well-being, how much water should you drink up every day? These recommendations may sound like they’re a lot at first, but keep in mind that these fluid recommendations also include the fluid component of your food intake as well as beverages like soda, coffee, and tea. On average, food comprises about 20 percent of our daily fluid intake. It can go beyond 20 percent if you consume more water-rich foods like fruits and vegetables. It can potentially aid with weight loss. One study found out that drinking water is more likely to help with weight loss among middle-aged and older adults. According to the researchers, this may have to do with water’s ability to make you feel full which in turns leads to less food intake. It helps prevent constipation. As a result, it lessens the burden on your kidneys and liver because there are fewer waste products to flush in your body. Water also helps dissolve fat and soluble fiber. In short, it keeps things moving (and healthier! ), digestion-wise. It can help improve your mood. Did you know that being dehydrated can make you feel down? Furthermore, researchers discovered that dehydration could also make you feel out of focus and increase your perception of task difficulty. The next time you’re feeling blue for no apparent reason, drink up (with water and not alcohol!). It can help reduce the incidence of headaches. A UK study found out that participants experienced headache relief within 30 minutes of drinking around two cups of water. This isn’t a surprise at all as water deprivation has been strongly linked to migraines. It’s also worth noting that dehydration can impair your memory, motor skills, and attention span. Another research has found that increased water intake lowers your likelihood of experiencing bladder cancer and colon cancer. One possible reason for this is that water helps flush out carcinogens in the body. Would you like to talk to us about your hydration requirements and more lifestyle changes? Give us a call if you’d like to schedule an appointment with Hauser Health. We’ll work with you in building a solid, realistic plan to eat (and drink!) healthy.